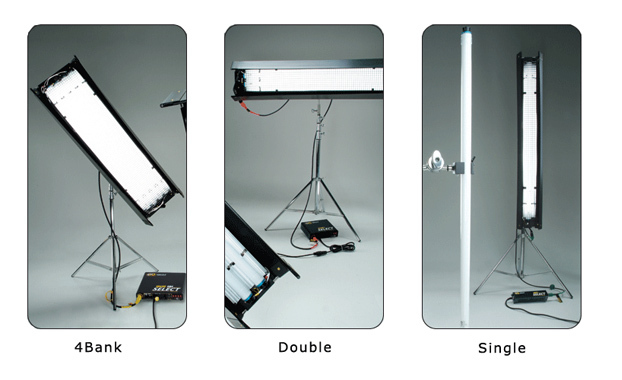 Cool, compact and soft lighting are all the characteristics of Kino Flo. Using less power than conventional fixtures, Kinos are an economical source of soft, consistent lighting. Available in sizes ranging from 2ft to 8ft, and color temperatures 29k, 32k and 55k. Each system includes a high output ballast, fixture, 25′ extension cable, mounting plate, and louver.